Enjoy the experience of a lifetime on a Nike Sports Summer Camp in the UK in 2019. 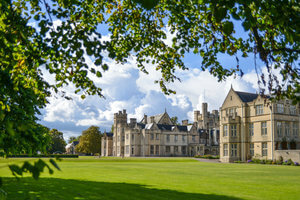 Choose from residential or day tennis, football and hockey courses at some of the most spectacular school and sports venues in the UK including Bisham Abbey National Sports Centre and Charterhouse School. We have options for kids of varying abilities from beginners to advanced players. Our expert coaching teams challenge and support players at every level to improve their skills while making new friends from across the world in a safe and fun environment with 24 hour care. Choose to include English lessons with your camp (residential only) and you can expect a specially designed sports-related curriculum delivered by professional English teachers designed to accelerate learning in a fully immersive camp environment. Camps for boys aged 8-17 and girls aged 12-17. Coaching from two leading Nike football clubs Chelsea FC Foundation and Brighton and Hove Albion FC. Specialist weeks for girls and goalkeepers. For boys and girls aged 11-17. Hockey coaching programme designed by former GB Olympic hockey player Matt Daly. A national sports centre with elite facilities just west of London, hosting Nike Tennis Camps this year. One of England’s most prestigious private schools set in 68 acres of grounds. Venue for Nike hockey and football camps (Chelsea). Picturesque private school on the south coast of England. Venue for Nike Tennis Camps, Nike Football Camps and golf camps. Set in 300 acres of park land Canford School has its own ‘real tennis’ court and is the perfect home for Nike Tennis Camps. If you're looking to bring a team or group to England for a sports camp or tour, we may be able to design a custom tour experience to meet your needs. Visit our sister company Sports Tours Europe for more information. Our team uses the same expertise that we use to design our camps to design the experience of a lifetime for your young players. Shopping for someone else but not sure what to give them? Give them the gift of choice with a Euro Sports Camps gift card. We only send occasional news about our camps and special offers.